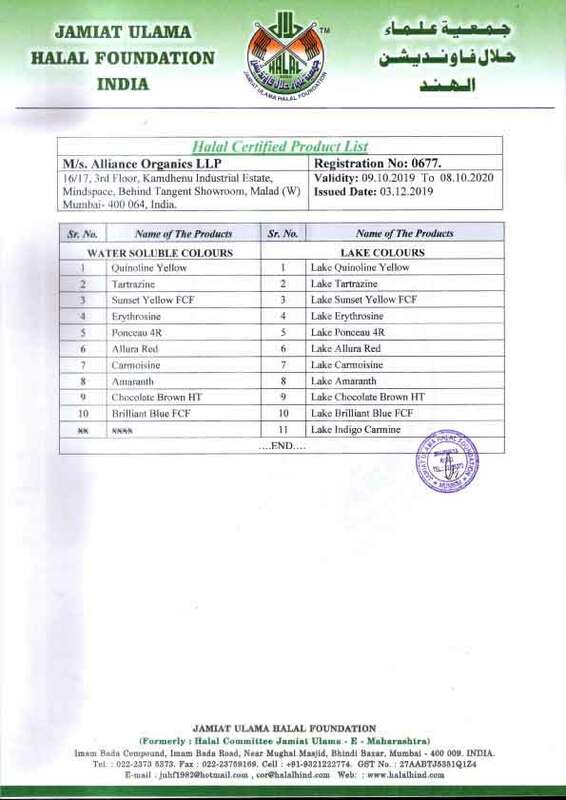 Since 2010, Alliance Organic LLP is a leading manufacturer and bulk exporter of high quality Dyestuffs, Pigments & Food Colours catering to different industrial requirements. 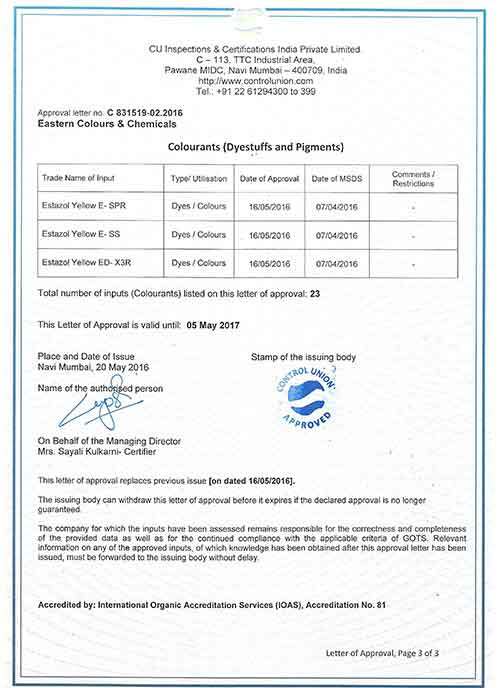 Our range of product include Dyestuffs, Reactive Dyes, Acid Dyes, Direct Dyes, Solvent Dyes, Food Colours, Optical Brightening Agent, Textile Auxiliaries, Synthetic Food Colours, Pigments & Colorants for Soap & Detergent, Thickeners, Resist Salt, Dyes for Soap and Detergents. 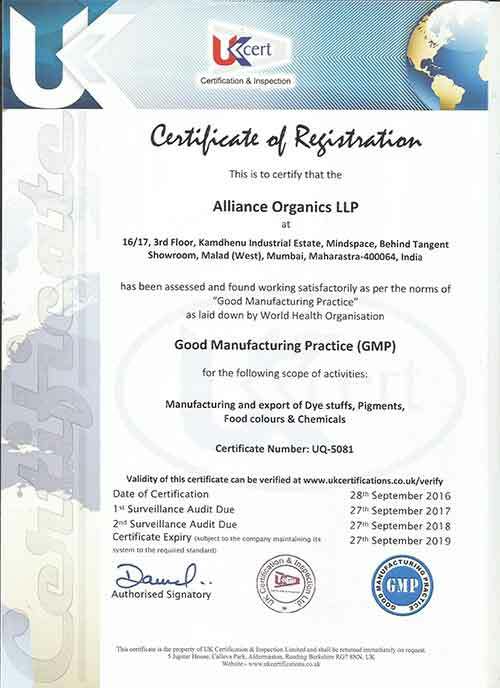 Alliance is an ISO 9001:2000 certified company and is committed to provide complete customer satisfaction when it comes to the quality, performance, timely delivery and prices of products. Our all products are made of high quality raw material and always meet relevant market standards and parameters. Because we have been developing and manufacturing superior quality products, our products have been finely tuned. We've addressed certain critical measurements to assure quality and performance, such as viscosity, surface tension, pH, conductivity, color, and purity, in order to control as many variables as possible and produce the best product possible. 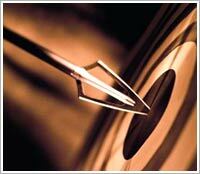 We are equipped with the state of the art infrastructure with head office in Mumbai, Maharashtra. Moreover, our organization has always employed modern production techniques and flexible processes & procedures to provide our clients with efficient service for both small batch and large orders. 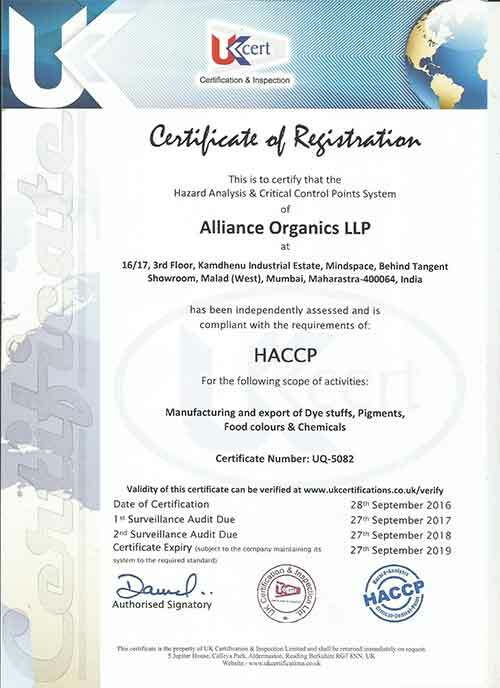 Alliance is a client centric organization and has adopted innovative procedures and practices to meet customer expectations every time they deal with us. We always welcome any feedback or suggestions from clients in order to serve them better. To identify potential customers and their requirements. To provide premium customer service across the globe. 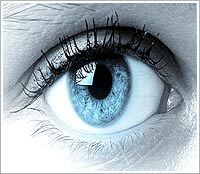 To offer a wide range of products and services to our existing and future customers through an open door policy. We have a team of professionals who help us with our production procedures. 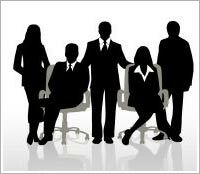 We at Alliance believe in complete teamwork and put our success in the success of our enterprise. We have the required zeal and passion that has resulted into the coming of quality products and services for the industry. Alliance happens to stand at the forefront of high quality Dyestuffs,Pigments & Food Colours catering to different industrial requirements. Our clientele like us for our in-depth commitment towards their concept and the very deep comprehension that we have towards their needs. 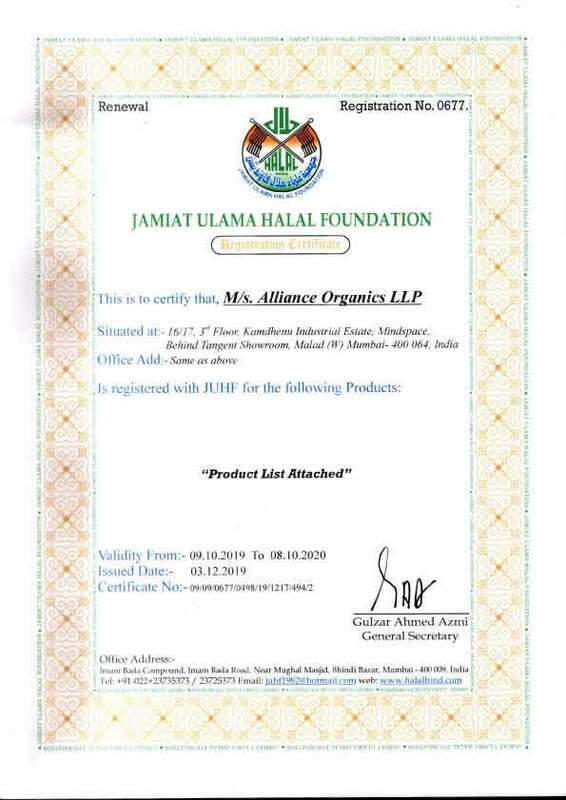 Our commitment towards quality, accuracy and innovation has enabled us to move towards the path of success and to make our respectful position in both national and international market. 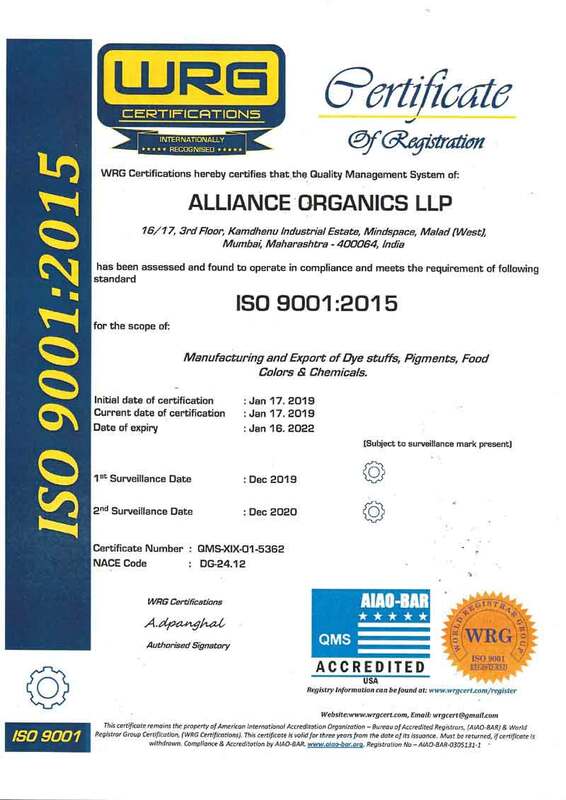 At Alliance Organics, we treat quality as a pledge and work towards achieving it in all ways possible. In order to maintain the quality, stability and performance of the products, our quality expert undergoes stringent quality checks at various levels of production. 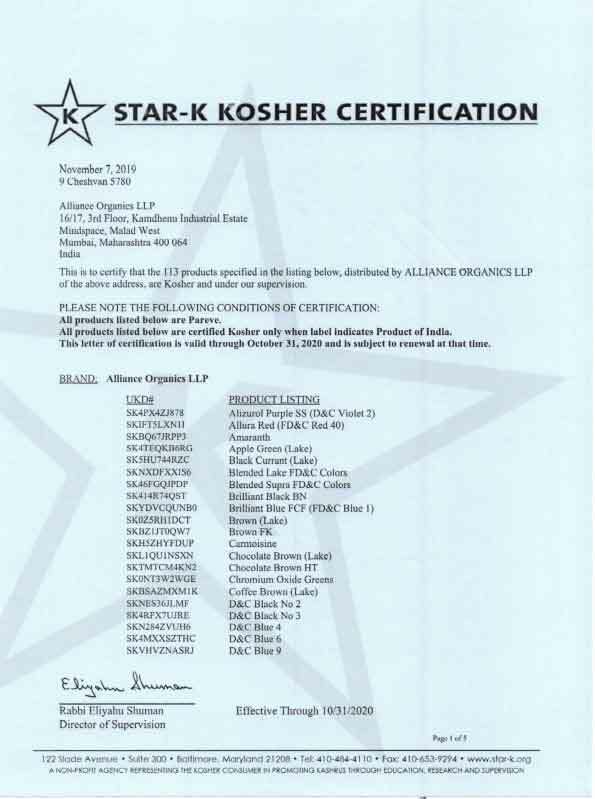 Quality has always been our utmost priority. 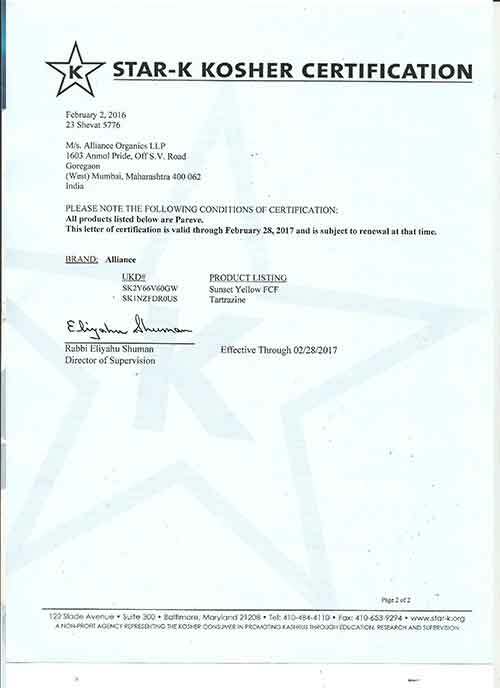 Our quality can be ensured by the ISO 9001:2000 certification. Raw material used in the manufacturing process is of supreme quality and is procured from trusted vendors. Further the raw material is tested in the testing labs. Purity- The purity of the raw material is checked by conducting volumetric analysis. The products are also checked even after the final packaging before the dispatch of the products. After packaging, the products are randomly checked and evaluated of 15 t 20% of weight size. 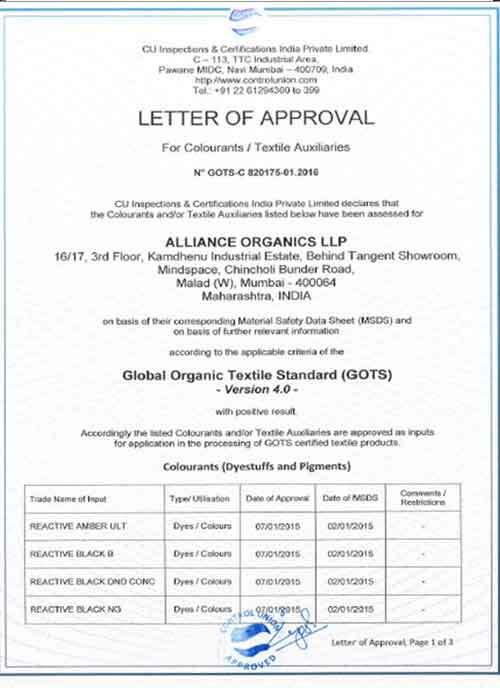 Alliance Organics is a highly professional company engaged in manufacturing manufacturing and supplying of quality dyestuffs, colors and chemicals for different industrial requirements. 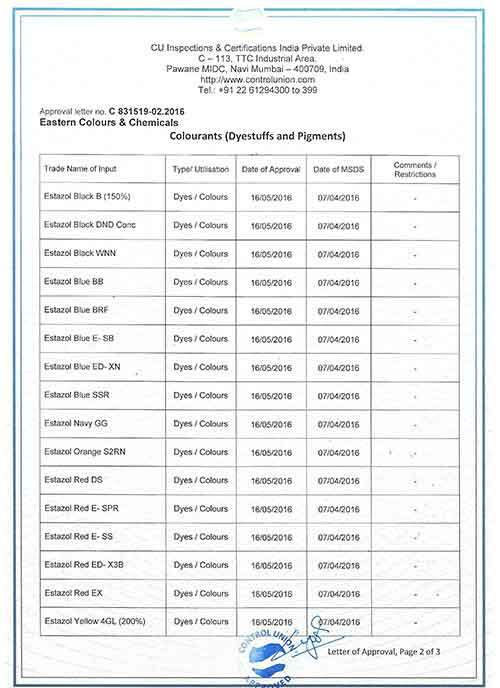 Our range of products include dyestuffs, inkjet dyes, dyes for wax printing, textile auxiliaries, optical brightener, caramel color, synthetic food colors, natural food colors, pigments, food ingredients, dyes intermediaries, fine chemicals, resist salt and more. We believe in satisfying customers by providing customization facility and timely delivery of quality products. Our comprehensive range of dyes & chemicals caters the requirement of various industries with utmost precision. We also believe in providing reliable, durable & yet cost effective solutions to our esteemed clients. Our entire product range is manufactured in accordance with the client's specific demand & specification. We have immense knowledge & immense experience in this industry, which enable us to cater to the requirement of a large clientele around the globe. With our extensive service network strategically spread worldwide, we deliver fast and efficient service to our customer. We understand the evolving needs of our business and enterprise customers to reduce latency and increase overall reliability, diversity and connectivity. Our large network works in close coordination with our management & ensures that, every consignment reaches its described destination within the stipulated time frame.